We are currently in Bologna, Italy, my hometown. I've not been back for an extensive amount of time in probably six years, so my memories of some of the most important places of my childhood had begun to fade. 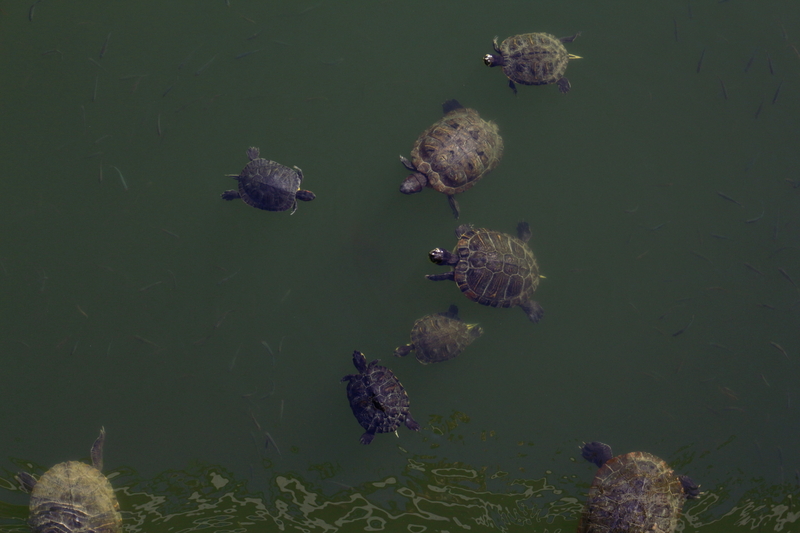 However, one thing that I remembered clearly was that in the public gardens "Giardini Margherita" there was a pond packed full of turtles. 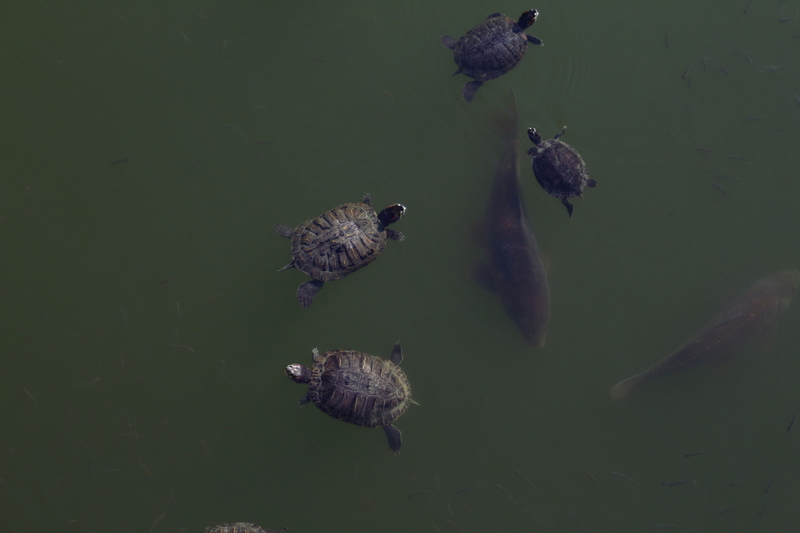 So as soon as I could, I decided to go back to the same garden, hoping the turtles would still be there after so many years. This time I brought my camera and a couple of faithful lenses with me, to record whatever wildlife I could hope to encounter. 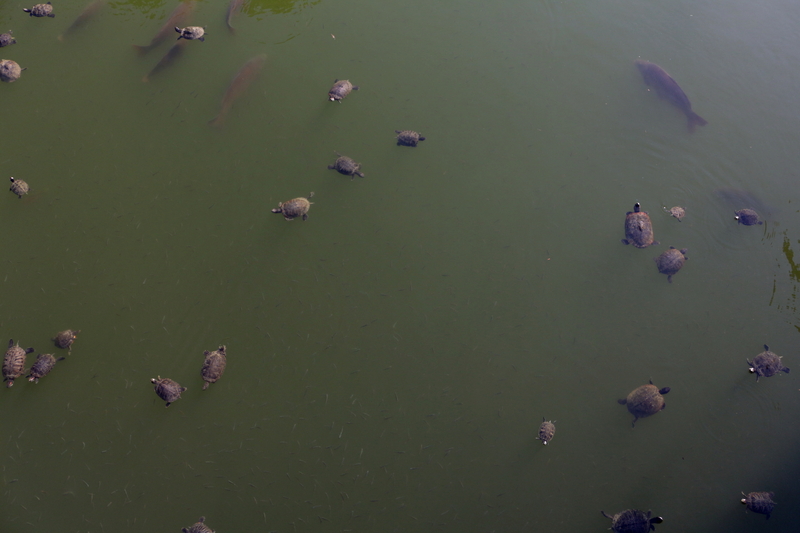 You can imagine my shock when I found myself in front of not a few little pond turtles, but an entire army of them! From giant, old sedate ones who had become tired and bored of this world and looked like they had spent far too much time in the pond, to the tiny, curious and carefree new generations, who were paddling around in zig-zag patterns. 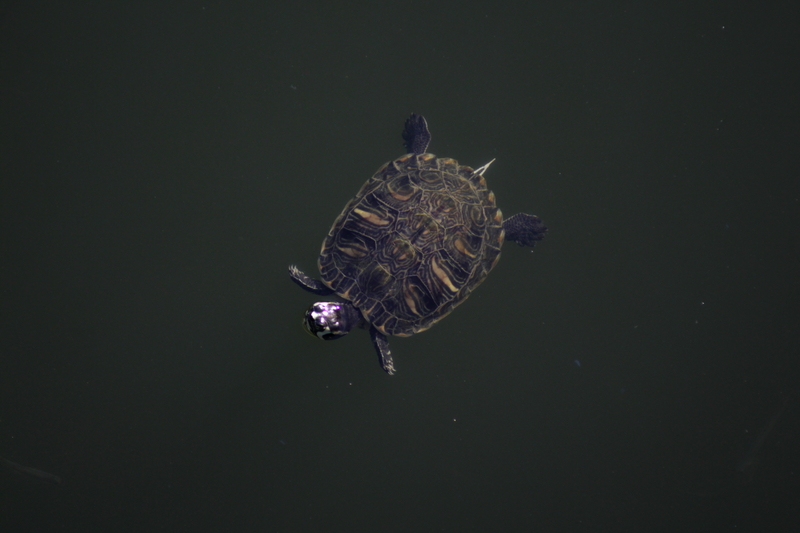 Amazed and amused, I ran to the pond and started snapping a few pictures of what I believe are yellow-bellied slider turtles (Trachemys scripta). Looking carefully at the pictures, I think I am seeing at least a couple of subspecies of Trachemys: the Trachemys scripta scripta and Trachemys scripta elegans, with the beautiful red markings. 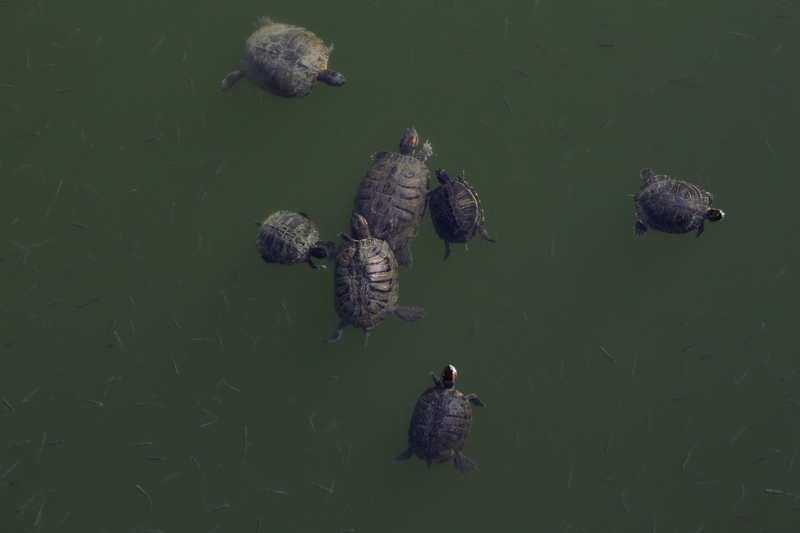 The attractive colours and adaptability to different climates makes them typical in the pet trade, where they are often referred to as Slider Turtles. Their average life span is of 30 years and, once they reach sexual maturity, females can lay three times a year, between five and twenty eggs per clutch. No wonder the pond got so crowded in the past decade!